Recognition of results and ECTS credits obtained during mobility period is based on the principles of transparency, flexibility and justice in accordance with the criteria and conditions for transfer of ECTS credits prescribed by the general act of the higher education institution, that is, the cooperation agreement between higher education institutions. 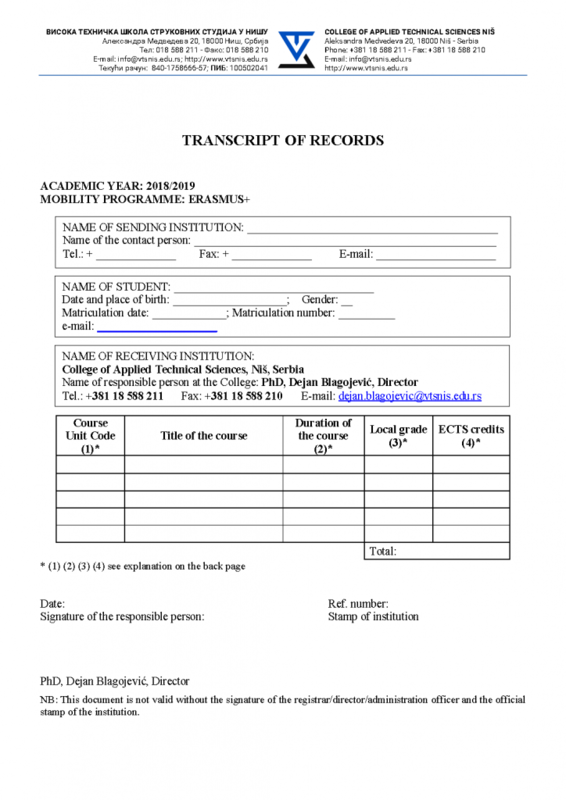 Transparency principle implies that the rules for academic recognition of mobility period are publically available (on the web page and the notice board). 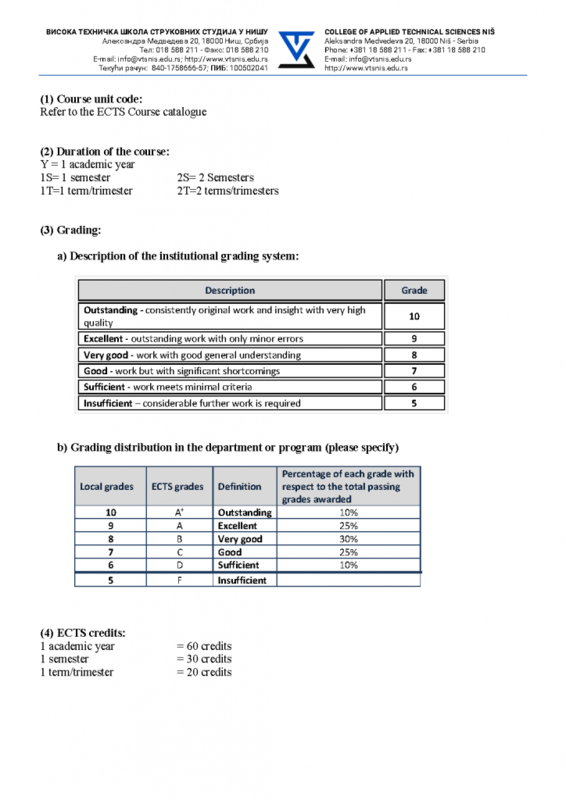 The competent ECTS coordinator in charge of recognition of the mobility period is guided by the basic criterion for transfer and recognition of ECTS credits and grades obtained during the mobility period is the outcome of the learning process, in accordance with the frequency distribution of the grades within a grading table.